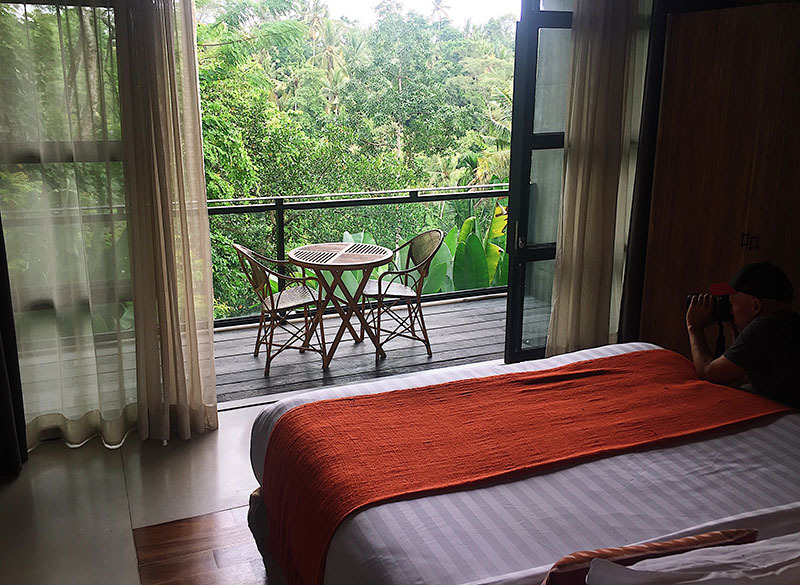 A picturesque 40 minute drive up from the beach area of Canggu took us back to the hills and rice fields of Ubud, and we had booked a hotel close to the centre of the shopping area, Monkey Forest and some art galleries. There’s something about arriving at a luxury hotel, straight off hot busy streets that immediately makes us feel welcomed and relaxed. Bisma Eight shone in this area. We were greeted by smiling staff in stylish, crisp clean uniforms who were somehow immune to the humidity, and given a refreshing ice-cold fruit drink while we checked in. Stress free and starting to feel the pull of a luxurious holiday, we glided though the check-in process of credit cards, address details, passports and holding deposits. We had arrived prior to our check-in time and our room wasn’t ready, so our hostess kindly offered to take our bags and give us a tour of the hotel. 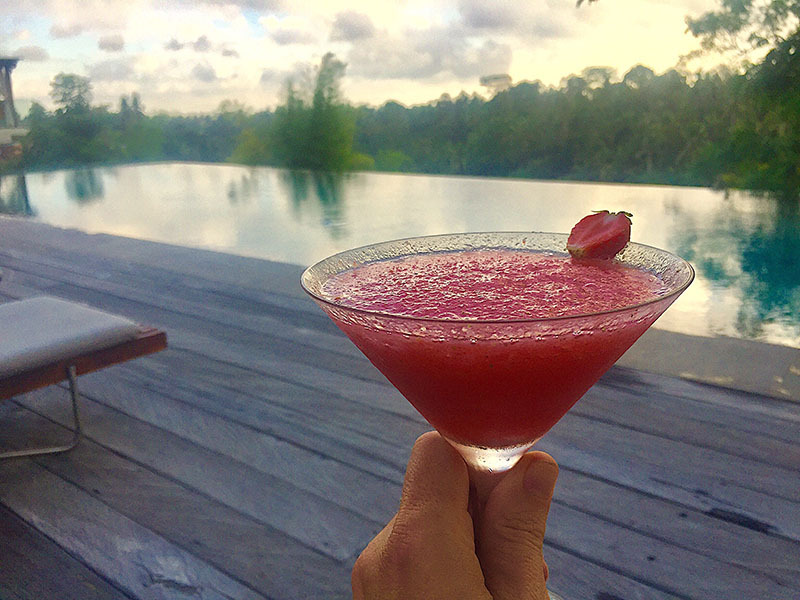 We gladly followed and she showed us through lush leafy paths and lead us to the infinity pool sitting at the top of the resort, looking out to the greenest rainforest below. We decided to stop here and sit at the bar drinking banana and mango smoothies while soaking up the pool vibe. 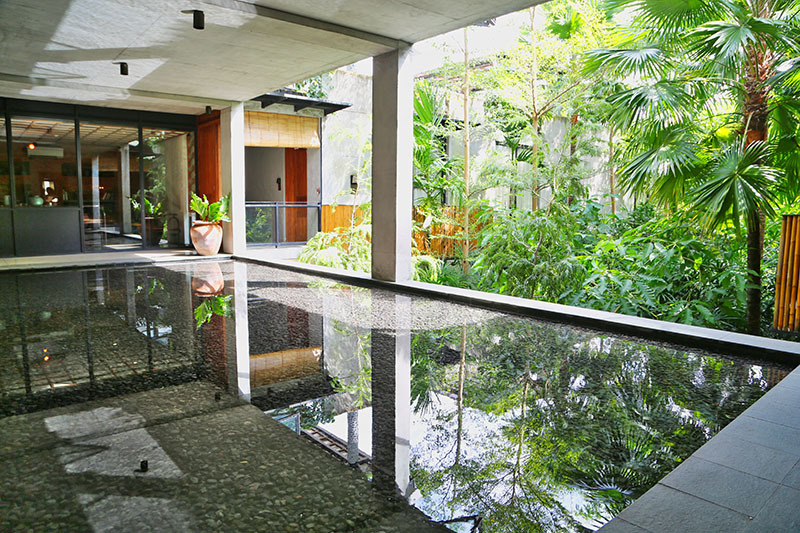 We returned to this pool many times throughout our stay. 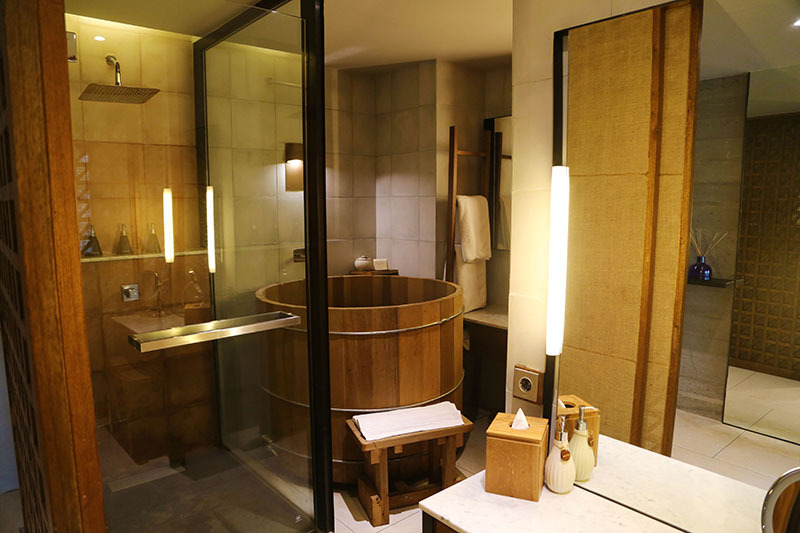 The room is divided into sitting and sleeping zones, and the bathroom is huge and luxurious, complete with Japanese style bathtub. Every detail has been thought of – the hotel room wants for nothing. We have easily accessible charging sockets, a desk area for two, lights for all occasions including night guiding lights and a lounge area with fresh fruit in the fridge and teas for us to choose. It’s a sanctuary. The beds were deliciously comfortable, and waking to the hum and clicking of the rainforest was like being lost in the wilderness together. Then there was breakfast! Every morning an a-la-carte feast of beautifully prepared and tasting food was served to us in the breakfast room. There were fresh pastries and juice, along with a good variety of cooked breakfast options. The coffee was the best we’d had in Bali. 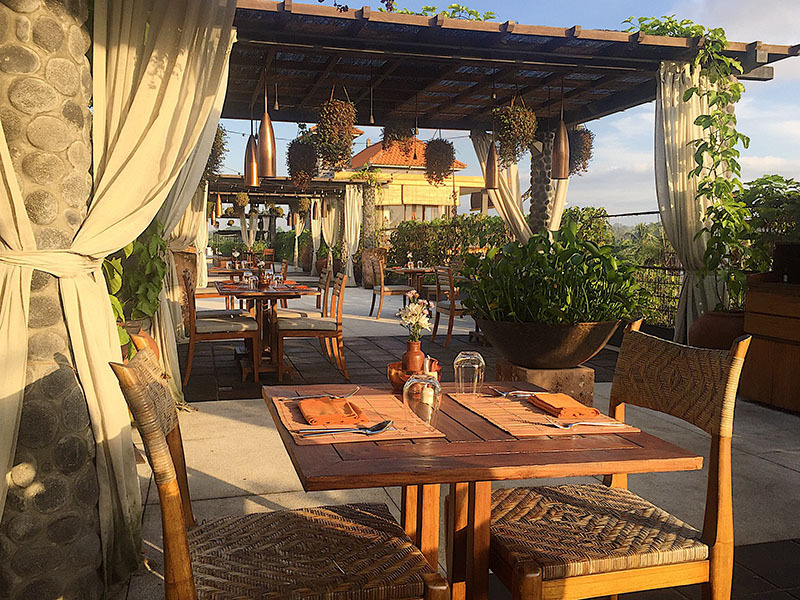 We ate like a king and queen on beautiful rustic pottery plates, and when the weather allowed, we enjoyed breakfast on the rooftop terrace. Newcastle, What a Surprise You Are!